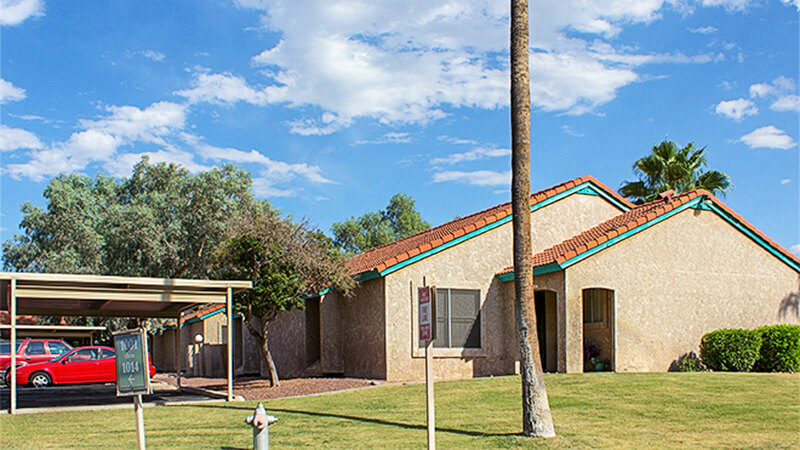 Phoenix, AZ – March 21, 2018 – ABI Multifamily, the Western US's leading multifamily brokerage and advisory services firm, is pleased to announce the $10,550,000 / $95,909 Per Unit sale of the Orange Tree Village Apartments located in Tucson, Arizona. Orange Tree Village is a lower density one and two story, townhome-style apartment community, which was completed in 1981. The property was built of wood frame and stucco, with pitched tile roofs. The property boasts an attractive mix of (20) 1-bedroom, (66) 2-bedroom and (24) 3-bedroom unit types with a weighted average size of 1,274 square feet and all units offer private entries and backyards. In addition, all units are individually metered for electricity and contain individual hot water heaters. "This property met all of the buyers' investment criteria," states Alon Shnitzer, Senior Managing Partner, and lead broker for the buyer, Alpha Wave Investors, in this transaction. "Alpha Wave is an experienced opportunistic, value add investor who has aggressively pursued opportunities in Tucson. The buyer plans to invest over $2,000,000 in capital upgrades, including new paint, roofing, fitness center, children's playground, dog-park, upgraded pool and clubhouse and numerous interior unit renovations. Given Tucson's job and population growth demand drivers and significant lack of new construction, the city has and will continue to be in high demand for quality rental housing." "The seller was a private Texas-based investor who developed the property back in the early 80's," states Jon Ibrahim, Vice President with ABI, and lead broker for the seller. "It is very rare to find a seller that has held a property this long and especially on a property that has this many unique and favorable characteristics." The seller is a private Texas-based investor and original developer of the property. The buyer, an entity formed through Alpha Wave Investors, LLC, is a private investment company based in Laguna Hills, CA.